« H.H. Dudjom Sangye Pema Shepa Rinpoche will be blessing Padma Samye Ling this upcoming Wednesday morning on May 30th! White Umbrella is an emanation of Buddha Samantabhadri and Tara, and is renowned as a great buddha with the profound ability to subdue and pacify negative forces. She holds aloft a white parasol, which symbolizes her protection of all beings. 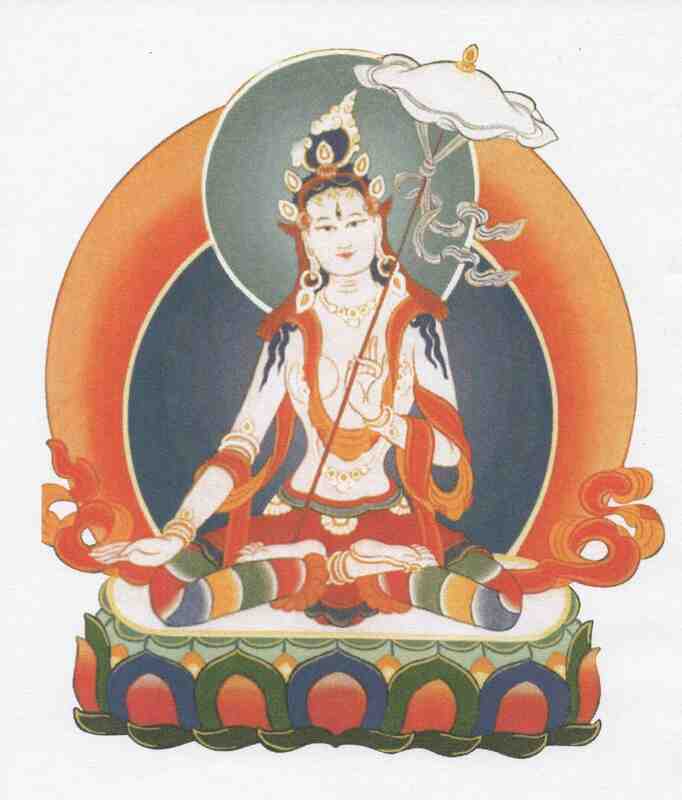 She manifested from the crown of Buddha Shakyamuni, and is the female counterpart to Buddha Amitayus. This particular terma was revealed by the great scholar and meditation master, terton Khedrub Karma Chagme Raga Asye in the 17th century.